How do metabolic pathways evolve? 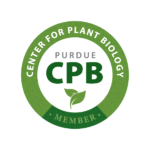 Research in the lab is focused on the genomic basis of evolutionary innovation, which we study in plants, fungi, and eukaryotic microbes. By integrating our findings across these diverse lineages, we aim to evaluate the timing, consequence, and generality of different genetic mechanisms underlying the evolution of novel traits in organisms. The traits that we focus on—specialized metabolites—allow organisms to interact with and manage the world around them (e.g., toxins and pigments to repel or attract). Currently, the lab uses 1) network biology & functional genomics to identify the genes responsible for making specialized metabolites followed by 2) comparative genomics & phylogenetics to untangle the genes' evolutionary history. Questions we ask include: What is the relative contribution of gene duplication, horizontal gene transfer, and other sources of innovation such as de novo gene formation in the birth of new metabolic pathways? What is the speed and importance of gene innovation at the regulatory versus enzymatic level? How does the impact of these processes vary across environments and between lineages? Bob Auber joins the lab for a rotation. RT @AbigailLLind: @jesseSeeEm Learned about the existence of a lizard genus called Smaug yesterday. Also totally on board with comedy taxonomy.